We are a leading Service Provider of Fabrication Services such as Glass Shop Front Fabrication Services, Curtain Wall Fabrication Services, Insulated Glass Fabrication Services, Conference Room Fabrication Services and Office Partition Fabrication Services from India. Our clients can avail our services Glass Shop Front Fabrication Services. Widely used in malls, departmental stores and other kinds of shops, these shop fronts are made of high quality glass material. These are appreciated by the clients as these not only protect the shop from dust and rain, but also help in branding and advertising the products. 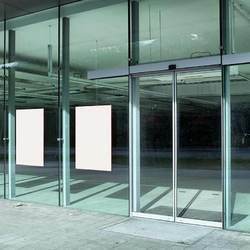 Clients can avail shop fronts in varying thicknesses of raw glass at pocket-friendly prices. 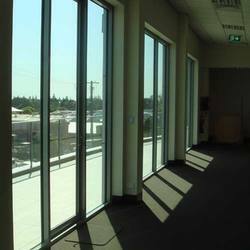 Our clients can avail from us Curtain Wall Fabrication Services. Acknowledged for sturdy construction, durability, long functional life and cost effectiveness, Curtain Wall Fabrication Services is highly demanded in the market. We make use of quality-tested aluminum, glass and steel sealant to fabricate the section at state-of-the-art production unit. 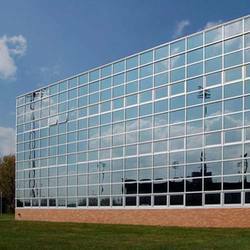 We offer high quality Insulated Glass Fabrication Services is used in both residential and business constructions and it has been made a must as per various building codes in many areas, as a mandatory energy conservation measure. Offered services by us takes in two panes of glass, separated by a single space. It is of incredible strength and is perfect to provide immaculate insulation. 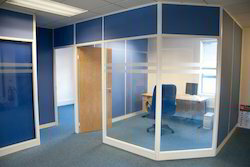 Riding on unfathomable volumes of industrial expertise, we are offering an interesting range of Conference Room Fabrication Services. Best for use in personal or low-traffic environments, our adroit professionals use the latest technology in conformity with industry quality standards to offer this room service. The offered room is highly appreciated in the market owing to its reliability.